Where to start? That is a really hard question. So much has happened since that day, July 27. the day my life changed irreversibly. Hard changes. And yet I’ve had so many thoughts in my head. So many words I’ve wanted to write, to get them out. Words i think that are from God to encourage me, and give me hope. And even though i did not get them out of my head in those moments, hope was given. I was encouraged. Monday was apple day at Hampton’s NEW class (yes new, he is not in the same class as last year. This has been a good thing. 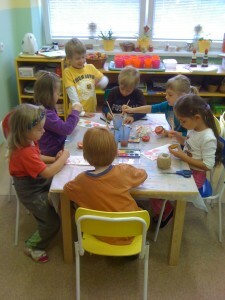 Although he misses his friends, he has made new ones, including a girl, Ema, who speaks perfect English). He hasn’t cried ONE time! 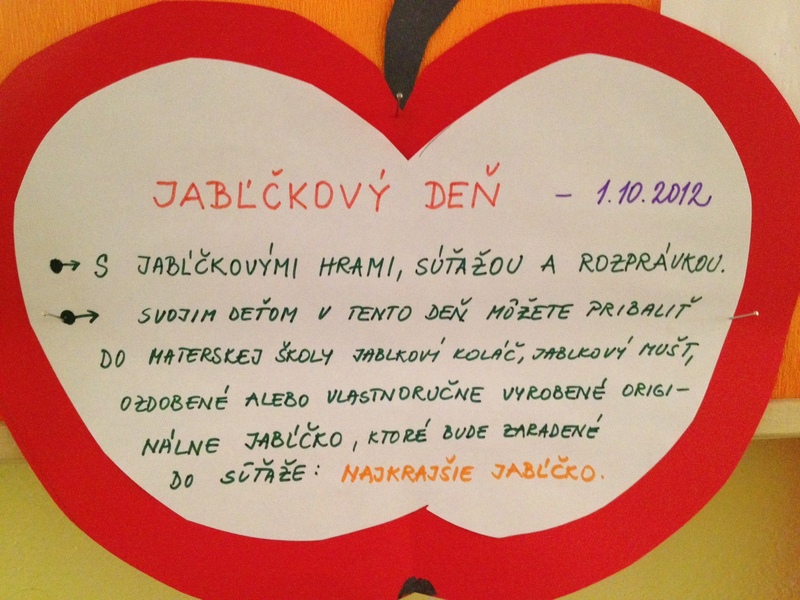 Laws have changed in Slovakia so that the year prior to attending first grade, students must learn (think Kindergarten vs preschool). Yes, it is hard to believe, and yet true, that before this change there was NOT a “Kindergarten” type learning classroom for these young children. This is a big change for me as well, as the expectations are surely different now that they are “student”. a welcomed change. So each week, there is a learning theme and new vocabulary words he needs to learn and such. 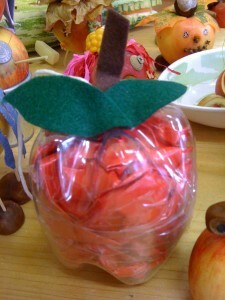 Back to Monday and Apple Day. We were given a note (in slovak of course) that he should bring something made from an apple. (even as i type this i can see the mistake in that simple little preposition “from”). 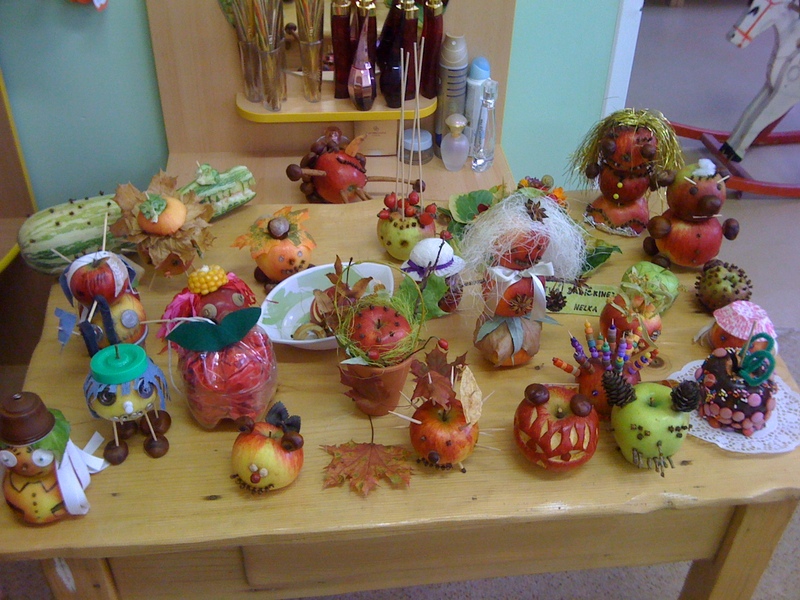 We worked together to prepare for this craft and monday when he arrived at school, he added his “apple” to the table with the rest. I will let the pictures speak for themselves! Living here, as i do, i have to be able to laugh at myself for my mistakes and pray for the Lord to protect my kids from any permanent damage I might inflict (seriously).